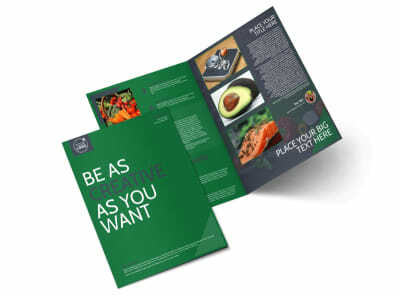 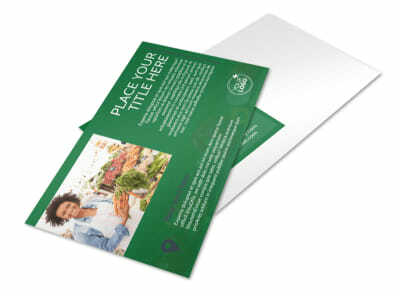 Customize our Nutritional Consultant Brochure Template and more! 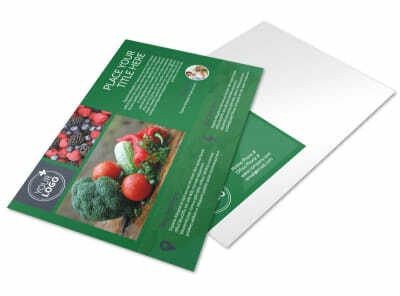 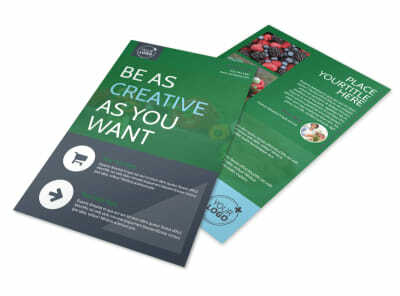 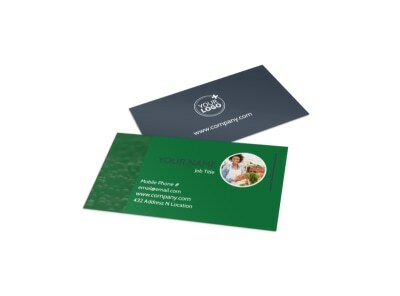 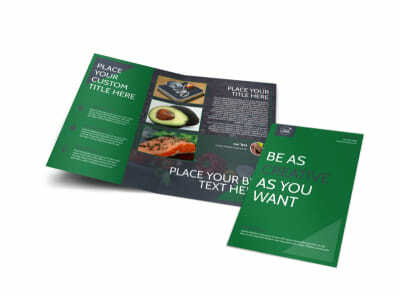 Show off your mad dietary expertise with this customized brochure for your nutritional consulting business. 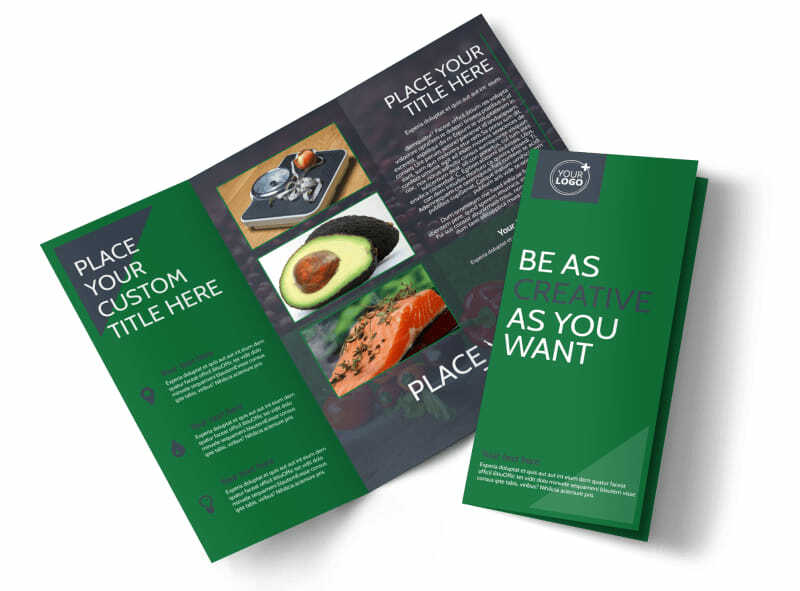 Our online editor is easy to use and lets you choose your own color, images, and text to customize your brochure. 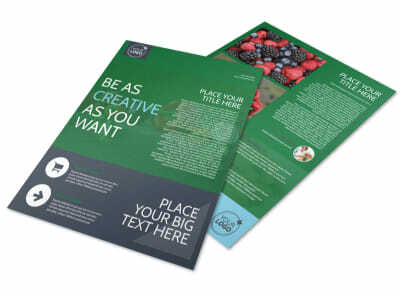 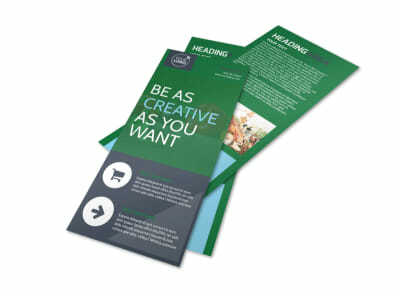 Watch your brochure take shape with just a few mouse clicks now!